Apples are the favorite fruit of the Germans. Every year, we each consume multiple kilos of the sweet fruit. As such, you’d think the apple was native to Germany, but that’s not the case. Originally, this vitamin bomb came from Asia and was brought to Europe via trade routes in antiquity. Greek and Romans then continued to cultivate the not-too-tasty, woody fruit to make it into what we know as an apple today. What's your favorite apple recipe? Tell us in the comments! 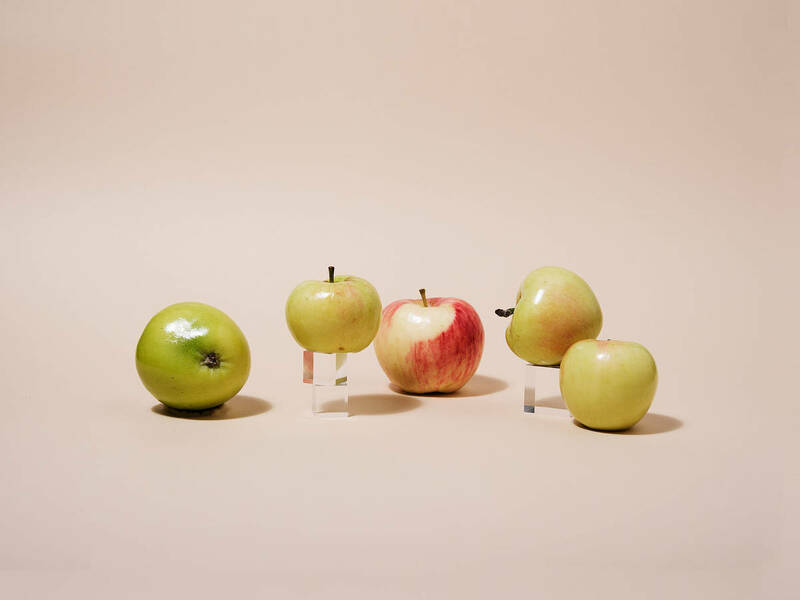 Apple research scientists, or so-called pomologists, have identified more than 1,000 different varieties. But based on easier breeding abilities and demand, supermarkets only offer a few options. Sweet and crunchy varieties like Gala and Braeburn, sour and tangy Elstar, tender Golden Delicious and Jonagold, and newer varieties like Fuji and Pink Lady are usually part of the standard assortment. However, in the last couple of years, hobby gardeners have expressed interest in less common varieties and advocated for more diversity in the markets. Many of them began to plant older varieties with rather extraordinary names, such as “Prince Albrecht of Prussia" and “Small Melon Apple.” These are vernacular names that often describe the breed’s features. The “Blood Apple,” for example, has a bright red peel and flesh. Apple season starts in August and reaches well into October. Unless you pluck your apples right from the tree, you can identify the best apples by checking for a full, unbruised, and smooth surface. Found your favorite type? Might as well buy them in bulk! Apples should be stored in a dark and cool place, where they can stay crisp for multiple weeks. Slightly moist basement storage is especially ideal for storing them throughout winter. Especially in winter, when the range of fruit in the supermarkets shrinks and viruses are waiting for a chance to strike, an apple a day can really save the day. With over 30 minerals, micronutrients, vitamin K and C, as well as iron, apples are really good for your immune system. And with a water content of about 80 %, they can even quench your thirst on the go. That’s why, when it comes to natural healing, apples are sworn by for dental hygiene, diarrhea, throat inflammation, hoarseness, insomnia, and even nausea. In fact, most of the vitamins and dietary fiber in an apple is in and just under the peel. If you want to bite straight into an apple, try to go for organic ones—and make sure to wash them thoroughly. All week long, we’ll feature new recipes with apples, so make sure to check back!